The Department of Housing and Community Development (HCD) was created to provide safe and affordable housing for Californians. It provides housing finance, economic development and community development programs; develops housing policy and advocates for an adequate housing supply; and develops building codes and regulates manufactured homes and mobile home parks. The department receives funding from the federal government, state bond funds approved via propositions and state general funds. HCD primarily funds local governments and project-specific housing sponsors. The department is transitioning from the Business, Transportation and Housing Agency to the Business, Consumer Services and Housing Agency by July 1, 2013, as part of a larger government reorganization. The Department of Housing and Community Development was created in September 1965 after almost 60 years of reforms focused on regulating labor camps, tenement houses and hotels. State leaders cited the increasing problem of unhealthy and unsanitary housing conditions in California’s cities and gave the new department a mandate to promote and maintain adequate housing and decent living environments for all California citizens; to protect public health and safety by developing and enforcing statewide minimum construction regulations for all types of housing; and to serve as a catalyst in seeking solutions to California’s housing and community development problems through technical assistance, advice, research and dissemination of information to citizens, industry, and government entities. Since 1965, state law has required all cities and counties to develop general plans for growth. The HCD oversees the availability of housing through planning and zoning “housing elements” and coordinates development between government and the private sector to achieve the state's housing goals. At first, the new department had a four-year sunset provision, but in 1975 it was given permanent status. In 1981, housing and community development functions in other state agencies and departments were consolidated in HCD. Two years later, HCD became the conduit for federal community development block grants and by the end of the decade its portfolio was expanded to include rural development, farmworker homeownership, rental construction, homeless shelters and disaster assistance. In 1990, the National Affordable Act provided a new source of funding. The department received a major infusion of funding in 2002 with passage of Proposition 46, which authorized the sale of $2.1 billion in bonds for a five-year housing program. Another bond measure, Proposition 1C, was approved by voters in 2006 and promised to bring in another $2.5 billion. 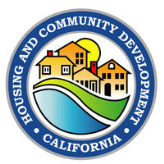 The Department of Housing and Community Development is transitioning from the Business, Transportation and Housing Agency to the Business, Consumer Services and Housing Agency by July 1, 2013, as part of a larger government reorganization. The department has three main areas of interest: Codes and Standards, Financial Assistance and Housing Policy. Codes and Standards This division is responsible for seven programs, including state housing law, registration and titling of mobile homes, mobile home inspections, occupational licensing of dealers and manufacturers, employee housing, factory-built housing and manufactured housing. Financial Assistance This is the main conduit for dispersal of department funds and provides loans and grants to develop affordable housing for lower-income households. Approximately 21 different loan and grant programs are primarily funded through Proposition 46 and Proposition 1C housing bonds. These programs include the Multifamily Housing Program, CalHome, Farmworker Housing Program and the Enterprise Zones Program. The HCD administers 42 enterprise zones authorized by the state Legislature. The EZ program targets economically distressed areas throughout California by providing tax incentives to businesses and allowing private sector market forces to revive the local economy. Each enterprise zone is administered by its local jurisdiction, working with local agencies and business groups. There are no limitations on the physical size of enterprise zones, but at least 50% of zone residents must make less than median income in their respective counties. California's enterprise zones are not technically designed to foster urban renewal. They are, rather, employment programs that use a variety of incentives, mainly state tax credits, to encourage employers to hire workers in designated areas. Much like California's far more widespread system of redevelopment, cities and counties have embraced enterprise zones as crucial components of their local economic development plans. Housing Policy Development This division develops and advocates policies and laws to further housing and community development.aims. It administers the housing element law, which includes the review of local plans throughout the state, and prepares reports for the federal Department of Housing and Urban Development to ensure receipt of millions of dollars from Washington. This division also produces an annual report on redevelopment agencies’ housing activities and provides technical assistance to local governments, public and private housing providers, business and industry groups, housing advocates and interested citizens. The department oversees low- and moderate-income projects put together by redevelopment agencies throughout the state. These agencies were created by the state in 1945 to revitalize deteriorating and blighted areas. They were beefed up over the years and in 1976 were required to set aside 20% of their tax-increment revenues in a Low-Mod Fund for affordable housing. (Tax increment financing allows redevelopment agencies to finance projects using property tax revenues from the increase in assessed property values that occur after a redevelopment project is completed.) Two years later, the passage of Proposition 13, which reduced local governments’ access to property tax revenue, spurred a growth in use of redevelopment projects and raised concerns among legislators about the agencies’ practices. In 1984, the Legislature empowered the state Controller’s Office to oversee the agencies, but singled out the Department of Housing and Community Development to compile data and issue annual reports on housing activity funded by the Low-Mod Fund. The funds create the biggest pool of non-federal money available in California for building affordable homes. The funds totaled $5.6 billion in 2007-08. Loans and grants from the department are rarely made to individuals; they go to local public agencies, nonprofit and for-profit housing developers, and service providers. In many cases these agencies then provide funds to individual end users. Local governments apply to the Department of Housing and Community Development to receive money for the projects. Once the city is awarded the money for a project, a contractor must bid on the project. Upon review of the applicants, a selection team chooses a contractor to carry out the projects. The department dispersed close to half a billion dollars in fiscal year 2009-2010. Fifty-eight percent of its funding came from Prop. 1C bonds, and that money was used for programs that included farmworker, multifamily and emergency housing. Almost 24% of funding came from ongoing federal programs that included community development block grants. Around 13% was temporary federal stimulus money in response to the economic downturn and went to block grant, homeless and neighborhood programs. Prop. 46 bonds kicked in another 2.3% for homeless and migrant services, the state’s general fund contributed 1.7% for migrant services and 1.3% came from revolving funds for mobile home park resident ownership programs. However, the economic downturn beginning in 2008 has had a major effect on housing efforts at the state and federal level. At the start of 2011, the federal government was considering major cutbacks in community development block grants to state governments, the state had frozen new bond awards from Prop. 46 and 1C (which are due to end soon anyway) and Gov. Jerry Brown had proposed an end to redevelopment agencies and enterprise zones. The result was a huge reduction in the HCD budget from $746 million in 2010-2011 to $327 million for 2011-2012. The bond pause alone reduced the department’s local assistance for new housing projects by $99 million. Eliminating redevelopment agencies would net the state $1.7 billion to apply toward its massive deficit, but isn’t reflected in the HCD budget. Ending enterprise zones would reportedly save the state $924 million over two years and $600 million for each year thereafter. Critics of affordable housing cite a number of objections to the often-dense developments. They worry about increased traffic, a strain on public services, reduced property values in surrounding areas, transient residency, change in a community’s character and an increase in crime. The Department of Housing and Community Development counters with studies that show people in affordable housing own fewer cars and drive less, property values aren’t lowered, tenants move less (when rents are guaranteed), careful design can enhance a neighborhood, and use of public spaces has a far more signiﬁcant affect on crime than density or income levels. Gov. Jerry Brown’s 2011-2012 budget proposed an end to two stalwart economic development programs administered by the Department of Housing and Development: redevelopment and enterprise zones. The promised savings to the state would be billions of dollars spread across multiple years, but the effect on employment, development and business would be felt in myriad ways, some unknown. There are 425 redevelopment agencies spread across the state and although their mandate is to battle blight, the projects they engender are extremely varied, ranging from stadiums to low-income housing. Critics maintain that the redevelopment agencies collect taxes for themselves that would otherwise go into local and state government coffers, that projects benefit developers rather than the community and that lack of proper oversight leads to misuse of funds. State Controller John Chiang said, "The lack of accountability and transparency is a breeding ground for waste, abuse, and impropriety." While the office of the state Controller oversees redevelopment agencies in general, the Department of Housing and Community Development focuses on low- and moderate-income housing. Early efforts at redevelopment in the state, meant to increase and improve the housing stock and eliminate blight, were criticized for large-scale evictions of poor people to clear slums to make way for gentrified housing and upscale commercial/retail projects. Changes in the law, beginning in 1976, which were meant to guarantee that a portion of tax revenues generated by enhanced, redeveloped property were spent on low- and moderate-income housing, have been called ineffective. A 2011 report by Controller Chiang focused on 18 agencies and found significant irregularities, although he found that one widespread charge, that agencies were not making their 20% deposits in the Low-Mod housing fund, was not true. However, he found that a number of the agencies made improper charges against the fund. Although not nearly as widespread as redevelopment agencies, enterprise zones have been embraced by many cities and counties as a tool to foster local economic development. By law, there are only 42 enterprise zones in the state (as opposed to 400 redevelopment agencies) and each zone has a 15-year life expectancy. They are seen primarily as an engine for employment rather than urban renewal by providing companies with tax credits and deductions. Although the state has projected nearly a billion dollars in savings from their elimination, it has made a parallel argument that enterprise zones are ineffective and wasteful. A draft version of Gov. Brown’s budget argued that the zones shift “economic activity from one geographic region within California to another geographic region within California.” In other words, it pits California cities and counties against each other. The result: a bidding war that drives up the taxpayer cost of inducing companies to set up shop in the state. The literature is replete with stories of local zones snagging companies that were headed out of state, such as a Bayer pharmaceutical factory that opened in Berkeley and an American Apparel factory that settled in South Gate. But a study by the Public Policy Institute of California found that enterprise zones are "not of statewide interest," but rather are "local economic development run through the tax system." Its 2009 report concluded that “on average, enterprise zones have no effect on business creation or job growth.” One of the report’s authors, Jed Kolko, said that many companies were not employing intended workers who were at risk or under-employed. He also said that because the tax credits apply to certain capital expenses, businesses could invest in machinery without hiring additional employees. Therefore, while companies may have benefited from the tax credits, the program did not create intended employment gains. However, the report didn’t paint a totally bleak picture. The institute found the program’s effectiveness varied across zones, and that job creation was more likely in zones that marketed themselves better and didn’t focus on manufacturing. It offered a short list of recommendations to the Department of Housing and Community Development that it claimed would make the process of selecting and evaluating zones more effective and perhaps justify the program’s continuation. Who Benefits From Enterprise Zones? Some have argued that rather than target the benefits that enterprise zones provide for just a few areas, California should extend the tax breaks and regulatory relief to the entire state for the benefit of the small businesses that make up the backbone of the state’s economy. But that economic argument doesn’t fly with everyone. “Contrary to public perceptions, this is a program that benefits the largest, wealthiest corporations in California, not small business,” said Jean Ross, executive director of the group California Budget Project. Seven out of 10 EZ tax break dollars are claimed by corporations with assets of $1 billion or more. In 2008, these corporate giants claimed 70.3% of the total dollar value of corporate EZ credits, even though they represent less than half of 1% of California's corporate taxpayers. Nearly all of the tax credits, 91.9%, were claimed by corporations with assets of $10 million or more, while corporations with less than $1 million in assets claimed only 1.6% of EZ tax credits. Corporations with assets of $1 billion or more claimed an average of $583,659 in EZ tax credits in 2008, compared to $3,218 for corporations with assets of less than $1 million. The high cost to the state of the EZ program is directly attributable to the hiring tax credits which, in 2008, were 58.7% of the program’s total. Yet companies can claim these credits without creating jobs. They simply have to hire new workers, which can be accomplished when employed workers leave for one reason or another. The hiring credit rewards companies that have high turnover rates. But some offer a macroeconomic argument that a rising tide raises all ships and that enterprise zones generate activity that has a multiplier effect on the economic benefits and generates tax revenues with incalculable positive local externalities. has been involved in housing and community development since 1979 when she was director of a community development association in Grand Rapids, Michigan. Prior to working at the Department of Housing and Community Development, she was the director of a tenant counseling organization and served as a consultant to several housing and community development organizations. Creswell joined HCD in 1985 and was appointed deputy director in 2001. She regularly lectures for the University of California, Davis Extension Program on housing and land-use issues and affordable housing. Creswell is the current past president and a member of the California Planning Roundtable. Creswell was appointed acting director of the agency in January 2011. Ian Donald Terner, 1978-1983. Terner died in a plane crash in 1996 while accompanying U.S. Secretary of Commerce Ron Brown as part of a delegation to bring emergency housing assistance to refugees in Croatia and Bosnia. Twenty-five years earlier he had been part of a similar relief effort in Vietnam. The director of California's Department of Housing and Community Development (HCD), Ben Metcalf, completed yet another education/employment-inspired cross-country trip this time from Washington, D.C., when Governor Brown appointed him to the post in November 2015. He replaces Claudia Cappio, who left in April 2015 to become Oakland assistant city administrator. Metcalf, 39, grew up in Berkeley but headed east to Amherst College in Massachusetts for his undergraduate studies. While at Amherst, in March 1996, he and 10 fellow students traveled to Hinton, West Virginia, where they spent an “alternative spring break,” as the local newspaper described it, converting the basement of Camon Baptist Church into a community center. He reportedly became interested in urban planning when prominent New York affordable housing developer and Amherst alumnus Rosanne Haggerty invited him to take a look Common Ground Community, a not-for-profit corporation she founded in 1990 that works on innovative solutions for homelessness. Metcalf became a research associate at the Center for Court Innovation in New York in 2000 before returning to school in 2001. He earned a Master’s Degree in Public Policy and Urban Planning at the Harvard Kennedy School. Metcalf returned to the West Coast after graduation. He joined the San Francisco-based nonprofit BRIDGE Housing Corporation in 2004 as a fellow of the University of Pennsylvania’s Center for Urban Redevelopment Excellence. During his tenure there, he oversaw projects like the 99-unit Iron Horse Apartments, an affordable-housing development across the Bay in a 29-acre industrial park anchored by the historic Oakland Central Station, which hadn’t seen a train since 1994. The housing meltdown and financial crisis starting in 2006 battered agencies as public sources of funding dried up. Metcalf’s boss at BRIDGE Housing, Carol Galante, was tapped by President Obama to be deputy assistant secretary for Multifamily Housing Programs at the U.S. Department of Housing and Urban Development (HUD) and she recruited him. Metcalf returned to the East Coast in 2010 and took his first government job as Galante’s senior advisor. He held the position until 2012, overlapping his time as senior advisor to the commissioner and assistant secretary of housing from 2011 to 2013. President Obama appointed Metcalf to replace Galante in 2013 and that’s where he was when Governor Brown brought him back West. The new job requires Senate confirmation and compensation is $170,004. Metcalf is a Democrat. A 30-year planning veteran in local governments, Claudia Cappio was appointed director of the Department of Housing and Community Development by Governor Jerry Brown in June 2014. She left in April 2015 to become Oakland assistant city administrator. Cappio received a bachelor of arts degree in urban studies from Ohio Wesleyan University in 1976. She began her career as an assistant and associate planner for the town of Corte Madera from 1980-1985, before becoming Albany planning director from 1985-1995, and Emeryville planning and building director from 1995-2000. Cappio, a Democrat, was Brown’s director of planning, building, major projects and the Oakland Base Reuse Authority from 2000 to 2007 when the past and future governor was mayor of Oakland. While Brown and Cappio were credited with aggressively redeveloping long-abandoned parts of the city, critics complained of developer-friendly deals that skirted environmental and zoning restrictions by streamlining the approval process and pushing aside city officials who disagreed with the approach. She left government when Brown moved on to become state attorney general in 2008, forming Sparticles LLC, a planning and development consulting firm. She served on Oakland Mayor Jean Quan’s transition team in 2010. Brown appointed her executive director of the California Housing Finance Agency (CalHFA) in 2011. Cappio is active in the lesbian, gay, bisexual and transgender (LGBT) community and her selection as CalHFA executive director brought to eight the number of LGBT members appointed to top posts by Brown. Cappio is also certified as a Wilderness First Responder from the Wilderness Medical Institute.